Raymond Wills is an Insurance and Claim Handling Professional who performs claim auditing & premium analysis and has provided expert testimony for policyholders/employers in over 40 litigated cases regarding workers’ comp & general liability policies with over $30,000,000 recovered. Topics included, but were not limited to: the negative impact unreasonable claim handling can have on premium development and the experience modification factor, retrospective adjustments, policy & contract analysis, best practices, claim handling, claim investigations, claim reserving, return to work and litigation management. Claim Handling, Claim Auditing, Experience Modification, Retrospective Premiums, Premium Analysis, Premium Disputes. Mr. Wills has worked with executives of private industry in assisting them with insurance related issues that have confronted their companies. He has performed over 40 insurance program reviews and claim audits involving guaranteed cost, assigned risk, deductible and retrospectively rated programs with comprehensive reports prepared outlining the findings, issues and monetary damages sustained due to carrier improprieties. He has provided expert testimony when necessary in both Federal and State Court and has provided testimony in 9 court proceedings. Through his efforts, he has been able to assist clients recover over $30,000,000. Mr. Wills is a graduate from the University of Illinois with degrees in both Finance and Criminal Justice. Currently holds a Property/Casualty producer’s license and previously held a private investigator's license while performing independent claim and investigative work. Graduate from the University of Illinois with degrees in both Finance and Criminal Justice. Currently holds a Property/Casualty producer’s license and AIC Certification. 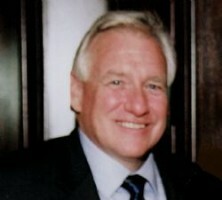 Raymond Wills began his insurance career in 1976. He is an insurance professional with a vast knowledge base and extensive command of the insurance industry that has included the handling of workers’ compensation, general liability, product liability, professional liability and run-off claims and has participated in over 40 litigated cases involving a multitude of complex insurance issues. Argonaut vs. Antarctic Mechanical Services, Inc. Status: Retained as testifying expert. Trial testimony given. Casualty Insurance Company vs. Lenny Szarek, Inc.
Liberty Mutual Insurance vs. Labor Leasing, Inc.
Graduate from the University of Illinois with degrees in both Finance and Criminal Justice.